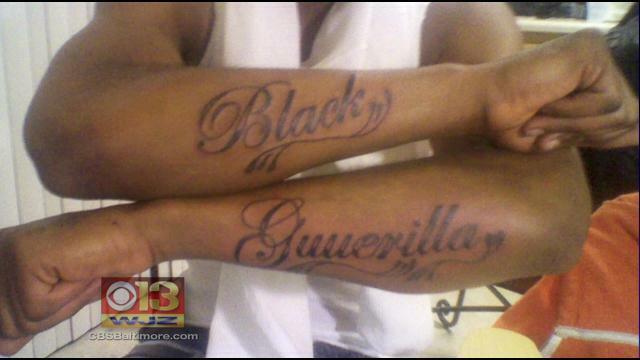 Black Guuerilla (sic) Family Tattoo. CREDIBLE THREAT TO LAW ENFORCEMENT Baltimore, Md., April 27, 2015 – The Baltimore Police Department / Criminal Intelligence Unit has received credible information that members of various gangs including the Black Guerilla Family, Bloods, and Crips have entered into a partnership to “take-out” law enforcement officers. This is a credible threat. Law enforcement agencies should take appropriate precautions to ensure the safety of their officers. Notification will be sent via NLETS. Further information will be sent through appropriate channels. Media is requested to distribute this information to the public and law enforcement nationwide. 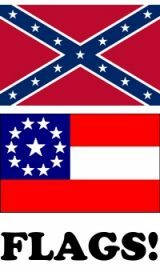 Note: Black Guerrilla Family [BGF] is a large black prison gang, and probably the dominant prison gang in the state of Maryland. The gang is very political and racial. They advocate various black power ideologies, as well as Marxism. It was founded in the 1960s. Many of the early members were Black Panthers. The gang was also known for it’s alliance with the Weather Underground and various black armed militant groups. BFG only lets a small number of people become full members, but controls larger affiliated gangs. It also has influence among all the major black street gangs like the Bloods, Crips, and Gangster Disciples. This entry was posted on Monday, April 27th, 2015 at 11:09 am and is filed under Hate Crimes, Police Victims. You can follow any responses to this entry through the RSS 2.0 feed.